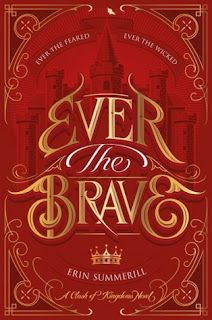 Ever the Brave was one of my most anticipated books of the year! I absolutely adored Ever the Hunted, and I couldn't stop thinking about it for months on end. I was so overjoyed when HMH sent along a review copy of the second novel in the series, and I couldn't stop grinning while flipping the pages. I don't want to go into too much detail, because I don't want to spoil the first book if you haven't read it yet, but the same characters we grew to love are back with a new twist, new connections, and even more magic than before. I know a lot of people don't particularly like when a YA novel contains a ton of tropes, but I don't particularly mind it, especially when it is done well. Summarill definitely included several common YA themes, but all of them were done well with their own little flair and I loved it! There were a few portions of the novel that were slower paced, but the world building and magic made up for the lulls in action and I really didn't notice too much. As much as I enjoyed the novel though, I have to say I'm a little upset with the way the love triangle ended, but oh well! We can't have everything our way! All in all, Summerill's writing continues to get better and better and I can't wait to read more from her in the future. 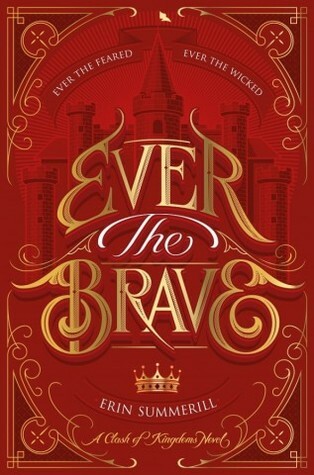 I would highly recommend Ever the Hunted and Ever the Brave t0 readers who enjoy YA fantasy novels. Thank you to Erin Summerill and HMH Books for Young Readers for sending this novel in exchange for an honest review.